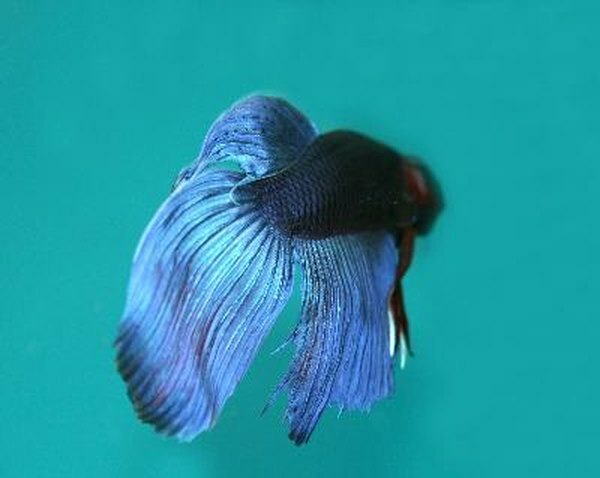 Large colorful tails and fins are characteristic of the betta. Betta fish are known for bright colors and flowing tails and fins. The aggressive nature of males requires that they not be kept in the same tank with other bettas. Large jars, 2 gallons or larger, work well as betta tanks. A filter and heater are not needed with bettas. Select a jar that holds at least 2 gallons of water. Use a larger jar if you plan to house more than one female betta in the jar. Choose a jar with a wide opening so the betta has enough room to breathe along the surface of the water. Wash and rinse the jar well. Poke several large holes in a lid for the jar to allow sufficient air to enter the jar. Cut a piece of screen to fit over the jar instead of a lid, if you wish. Wash aquarium gravel in clear water. Continue to wash until the runoff of water is clear. Place the gravel along the bottom of the jar. Make the gravel layer shallow to allow you to determine when waste and leftover food makes it necessary to clean the jar. Select plastic aquarium plants, using just one or two to avoid crowding the betta's space. Wash and rinse the plants. Push the base of each plant into the gravel. Add more gravel, if necessary, to hold the plants in place. Prepare water with a few drops of liquid treatment according to the label instructions, to attain a safe pH balance for the fish. Test the temperature of the water to make sure it is between 72 and 82 degrees Fahrenheit. Pour the water into the jar slowly so you don't disturb the gravel and plants. Hang the thermometer over the side of the jar so it is fully covered by the water. Carefully place a bag or net containing a betta into the water, allowing it to swim out into the jar without being harmed. Place the jar in an area where the temperature will remain at a consistent temperature as in Step 5. Place two jars, each with one betta, side-by-side to create a double-tank effect for your enjoyment. Keep a screen or perforated lid over the top of the jar to keep your betta from jumping out. 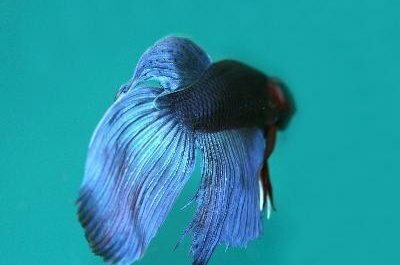 Avoid putting more than one male betta in a tank, and do not house males and females together. Feed the fish only about three times a week to avoid buildup of wasted food along the bottom of the jar and on the gravel. Clean the jar each week for best care of bettas in a home of less than 2 gallons.